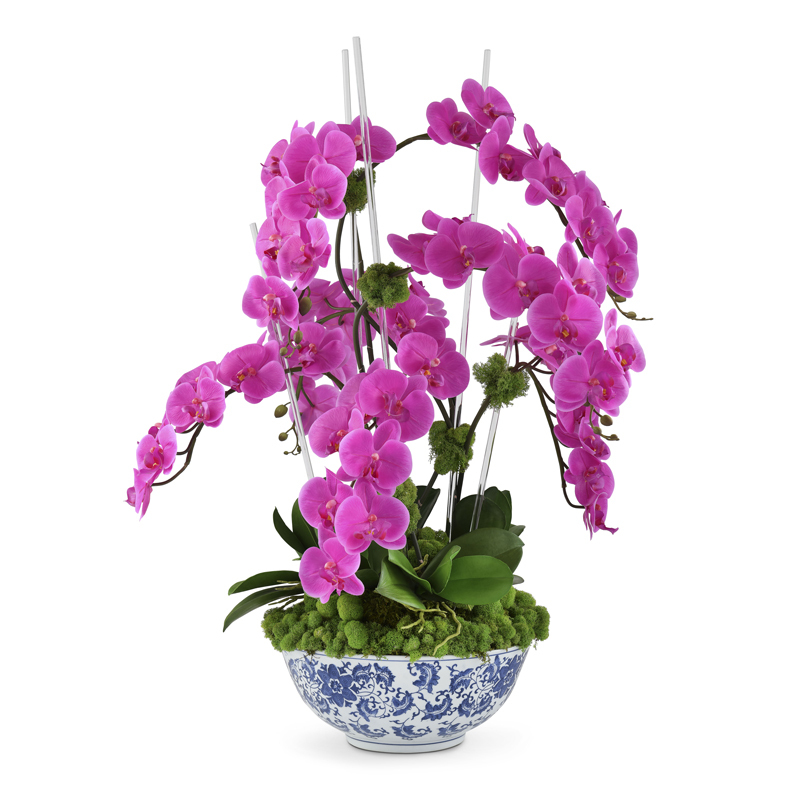 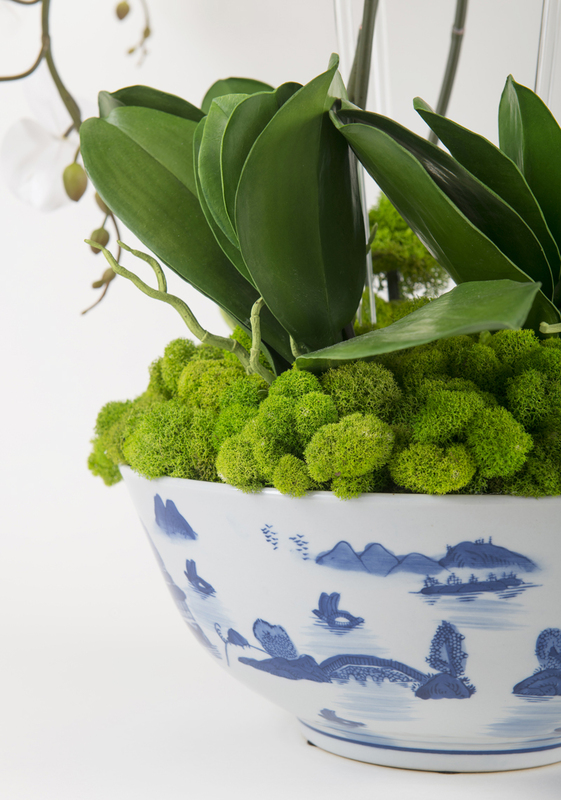 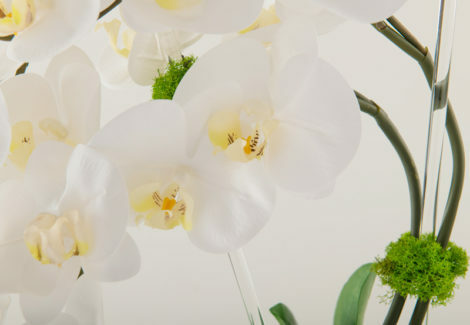 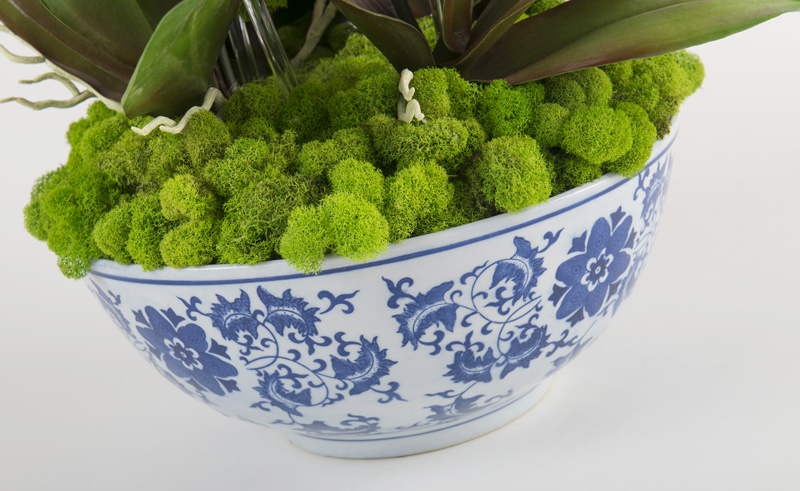 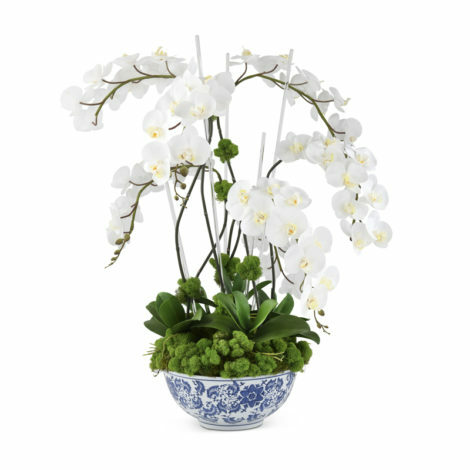 Elegant and timeless, our Grace design features seven fuchsia orchids arranged in a classic blue & white bowl. 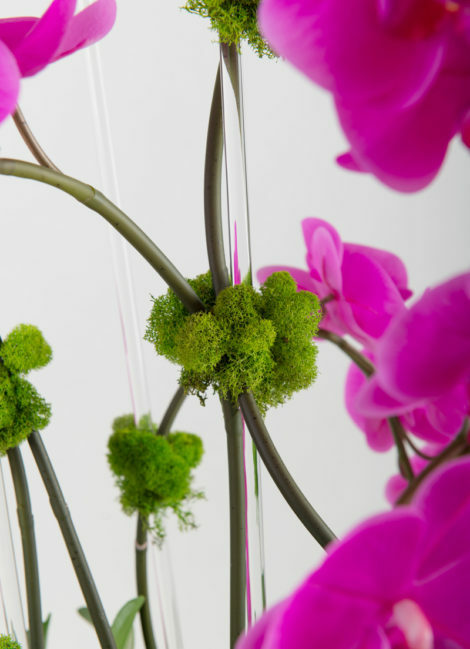 The vibrant 3D printed blossoms even feel real to the touch. 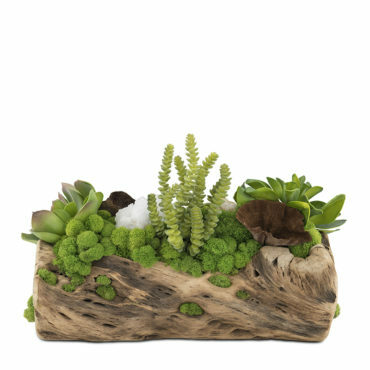 Preserved reindeer moss from Norway covers the base and glass rods add a modern vibe. 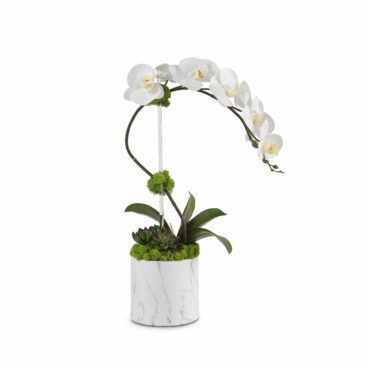 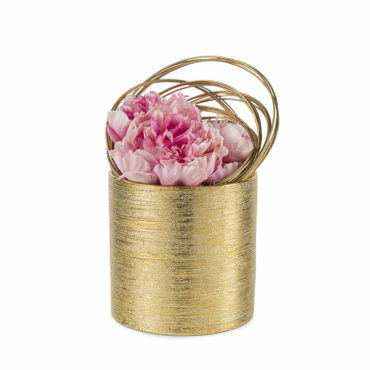 This arrangement is the perfect scale for a cocktail table, center hall table or kitchen island. 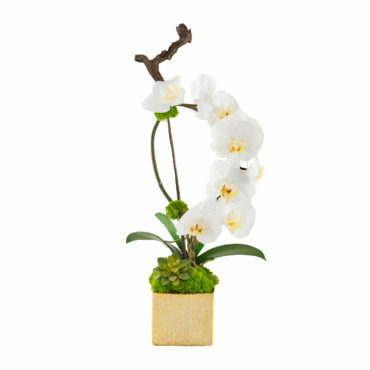 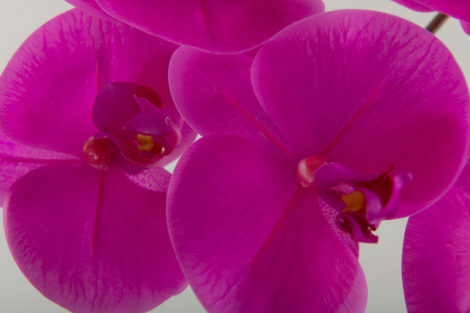 Also available in white orchids.